Yes, it’s that time of year when it’s COLD, illness is going around, and it gets dark out very early. In fact it’s probably already dark by the time children are being picked up at your programs. But remember, outdoor play is important during this time of year, too! Children benefit from fresh air even when it’s cold outside. Here are some ideas for outdoor activities in the winter, and some tips on keeping the little ones warm! —Digging in the snow. No worries if you don’t have “snow shovels.” Tools used for sand/sensory table digging work just as good. —Painting the snow. Use spray bottles and food coloring with water; children can turn their all white snow-covered playground into a colorful atmosphere. —Patterns in the snow. Children can use various objects or manipulative toys to create patterns. —Create tracks in the snow using footprints, rakes, or long sticks. This could even be turned into a follow the leader or guessing game with the children. For example, what object made which track in the snow? —Bird watching. Since the trees are bare, bird watching becomes very easy. Start saving your empty paper towel rolls so the children make their binoculars first! —Nature walks or hikes throughout your playground or around the block. Take a camera along to capture those wonderful winter images. —Feeding winter animals. Create bird feeders for a special activity then allow the children to pick the perfect place their feeder should be placed outside. This is such a great way to demonstrate compassion for other living things and the world around us. —Scavenger hunts are always fun in any season. This can be a teacher-guided hunt or the children can create their own hunts. Don’t forget to allow time and supply materials children may need to create maps for the hunt prior to heading outdoors. —Asking parents to provide extra clothes for their child or even donate old clothes for other children. Dressing in layers will help keep children warm. 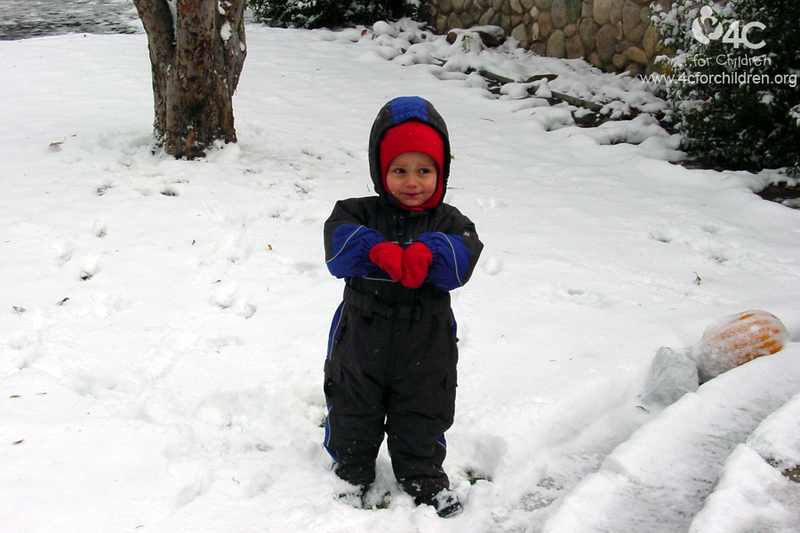 —Ask parents to bring in an extra pair of shoes or snow boots if you plan to explore snow outdoors. Parents can also donate old shoes or snow boots to keep on hand in the classroom. —No snow boots, no problem. You can use baggies or Kroger bags as a shoe liner. This will help keep children’s feet dry. If shoes become wet, they’re typically dry by the time nap is over. —Make hot chocolate. This can even be turned into a math activity as children count their marshmallows! Please always follow your program’s weather policy and procedures. Remember: children benefit from outdoor activities even if it’s in short time periods. This entry was posted in Best Practice, learning through play, Preschool and tagged outdoor play on January 23, 2015 by Tracy Schnirring.